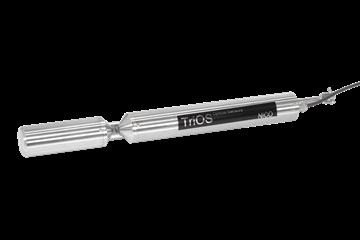 The TriOS NICO nitrate sensor uses the latest optical measurement technology in the UV spectrum. Four frequencies are used to determined the nitrate in water concentration including turbidity correction. The concentration range is 0-100mg/L NO3. The sensor may be connected to a transmitter to provide a local display and outputs to telemetry (analogue 4-20mA, relays, RS485 Modbus RTU, Wifi). The sensor may be automatically maintained using a wiper system or an Air shot system to keep the optical windows clean. 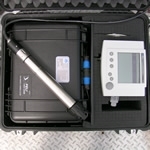 Other TriOS sensors may be connected to the multiple input transmitters including DOC, SAC, oil in water, turbidity, pH, turbidity, DO. The TriOS product range is manufactured in Germany and distributed by PPM in the UK. Please send me more information on TriOS NICO Nitrate Sensor.